WikiLeaks founder Julian Assange is finally under arrest. That’s not good news for those of us who love freedom. I am old enough to remember the Pentagon Papers imbroglio during which the New York Times and Washington Post published a secret report concerning the Vietnam War. It was explosive and the US government tried to prevent the newspapers from publishing the material. The Pentagon Papers was the name given to a top-secret Department of Defense study of U.S. political and military involvement in Vietnam from 1945 to 1967. As the Vietnam War dragged on, with more than 500,000 U.S. troops in Vietnam by 1968, military analyst Daniel Ellsberg—who had worked on the study—came to oppose the war, and decided that the information contained in the Pentagon Papers should be available to the American public. He photocopied the report and in March 1971 gave the copy to The New York Times, which then published a series of scathing articles based on the report’s most damning secrets. There is a fine line between 1st Amendment rights and national security but I agree with Dershowitz. 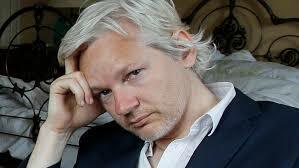 Assange exposed government secrets hidden from public view. What kind of free system of government operates in secrecy and then punishes those who expose that secrecy? It’s surely not a free system of government, that’s for sure. I’m siding with Assange on this one.